I have really missed writing this post as it is definitely one of my favourites. I love to share with you the wonderful books I find each week and I have been missing for two Fridays! 1) The Garden of Eve by K.L. Going. I found this over at Carrie's YA. Carrie reviewed this book and had me quite moved by it. Here is a passage from her review. I found this one over at Teddyree's site The Eclectic Reader. It is a YA book which is the first part of a series. Fifteen-year-old Kat is more her father's housekeeper than his daughter. Like all Upslope women, Kat must stay close to the hearth, far away from Downshore and its savage people. She must be respectable-and that means covering her wild red hair, finding a husband to take care of, and never singing, swimming, or dancing. But Kat knows there must be more. She can feel it in her heart. She can hear the drums beating, drawing her to the forbidden beach. When Kat can no longer resist the call, she discovers what she thinks is a fatally injured seal washed up on the shore. Instead, what she has found is a Rig-one of a charmed race of mythical seal people. The only way to save this mysterious man is to defy her father and her community and seek aid in Downshore. But does Kat have the strength to stand on her own? This was mentioned by Diane over at Bibliophile By The Sea in connection with another book and took my attention. It was one of Oprah's book club picks back in 1997 and is a coming of age book. 'For 14-year-old Ninah Huff, growing up in the extended family community of the Church of Fire and Brimstone and God's Almighty Baptizing Wind has meant working on the communal tobacco farm, receiving harsh punishments for unintended acts, being different from schoolmates, and enjoying a few simple pleasures. Foremost among the pleasures have been the company and stories of Nanna, whose husband, Grandpa Herman, founded the church after surviving wartime combat and unilaterally controlled its finances, doctrines, and daily life. Then comes a pleasures surpassing all others in the person of 15-year-old James. Designated prayer partners, Ninah and James share rebellious ideas, tentative touches, and more (after beseeching Jesus to speak to each of them through the other), leaving Ninah pregnant and touching off events that shake the community and its faith. 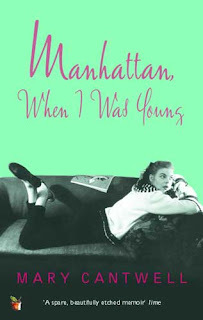 4) Manhattan When I Was Young by Mary Cantwell. I found this book mentioned at the back of a book I have just finished reading and thought I would definitely enjoy it. An easy-to-read autobiographical account of a fashion-magazine writer in the 1950s. Fresh out of college, Cantwell arrived in Greenwich Village and shared an apartment with a friend. Despite all the flair of metropolitan life, experiences with high-style department stores, exclusive little shops, theaters, parties, restaurant outings, and even a romance and marriage, she became increasingly depressed. Her close ties to a lovingly encouraging father were broken by his early death. She details the passage of years by describing the flats, houses, and apartments she lived in and the jobs lost and gained in her career pursuit. Despite Cantwell's lifelong involvement with psychoanalysis, her account is enlivened with the cheerful glamor of little black dresses, Steuben glassware, ethnic neighborhoods, and the whole ambiance of the city, presenting anew the eternal charm of the Big Apple for the young. I love reading about New York and the 50's and 60's have always interested me, so I will definitely look out for this one. Well that is my Friday Finds for this week. What did you find? I've not found anything new but started reading The Friday Night Knitting Club while I was away. Did you know that's another being turned into a film? Interesting set of books. Love the covers. I like the sound of Garden of Eve & it's not one I've heard of before. Glad Long Night Dance appealed to you, it doesn't seem to be a very widely read series, don't know why, I found the first one very appealing. These all sound fantastic -- great finds! Long Night Dance sounds like it could be really good! 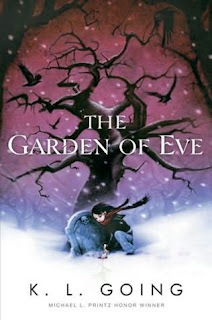 The cover on Garden of Eve looks great, and yes...Rapture of Canaan is one book I will always remember...loved it. Those all look good, but Manhattan, When I Was Young really catches my eye. All of the books on your list look appealing to me, but I am especially drawn to the YA titles. The religious cult one sounds kind of disturbing but fascinating. The Garden of Even looks like such a beautifully sad, but uplifting (I hope) book. I'll definitely have to check it out and I've added it to my wish list. 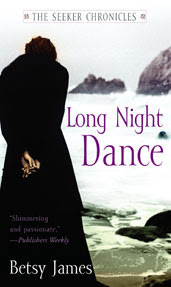 What was described on Amazon for Long Night Dance makes it sounds like a must read too. Manhattan When I Was Young by Mary Cantwell has caught me eye. Thanks for posting this. you always have some great finds. Cute covers on The Garden of Eve and Manhattan When I Was Young. Love the cover of Garden of Eve. 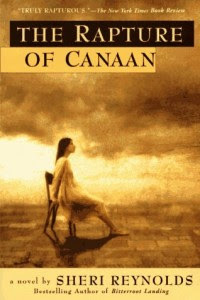 As for Rapture of Canaan, I think I still have my copy. If I find it, you can borrow it if you like?